The shamrock is the national flower of Ireland, making it a prolific symbol during this time of year. Not only that, but St. Patrick is said to have used the plant to help illustrate religious concepts to the natives. As such, this little plant should be a big part of your holiday decor. For instance, you can hang a wooden sign in the shape of a clover on your front door. Write a greeting, like “Welcome” on the sign so guests enter your home with a smile. Garland for the fireplace mantle and placemats for your kitchen both depicting shamrocks are other fun options. Wreaths might be synonymous with Christmas, but they make beautiful decorations year-round. Choose one made primarily of greenery for St. Patrick’s day. For instance, moss, shamrocks, eucalyptus and pine are all vibrant and lovely. You can even incorporate other accouterment to give your wreath some depth. White flowers (to complement the white in the Irish flag) gold ribbon (for shimmer) and long grasses (for additional depth) all give your decor dimension. 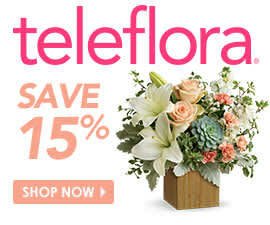 Celebrate spring weather and St. Patrick’s Day by getting a stunning floral arrangement. Whether you make it a table centerpiece for your holiday dinner or an eye-catching addition to your living room, a bouquet can bring some freshness to your home. Choose an arrangement that features flowers that represent the beauty of Ireland and add a little green to the day so you don’t get pinched. Teleflora’s Emerald Elegance bouquet looks like it came straight out of their beautiful fields and will be the perfect addition to any table for the holiday. Throw pillows are ideal decorating tools because they’re useful, elegant and easy to swap out as needed. For St. Patrick’s Day, consider adding festivity to your living spaces with decorative pillows featuring Irish-flag colors, shamrocks and seasonal phrases, like “Lucky.” If your home features a neutral color scheme, green, orange and white will all fit in. However, if your space already has some bright colors, choose the St. Patrick’s hue that best fits. Additionally, you can complement your holiday pillows with throw blankets to complete the look. Like throw pillows, candles are practical decorations that can enhance the feel of a space. Not only that, but they can also provide lovely scents. Opt for green, white or orange candles in scents that make you feel relaxed or happy. Just don’t place them too close to the flowers, both for safety reasons and to spread lovely smells throughout your home.